Edward Jones’s aggressive recruiting over the past year has paid off, with its financial advisor count posting a new record in 2018, according the company. Edward Jones had 17,615 advisors at the end of the year, which the firm says in a statement makes it the country’s largest brokerage by the number of advisors. In all, Edward Jones brought on 1,520 advisors over the year, a 9% increase over 2017, the company says. Among them, the firm was on track to bring on more than 250 advisors from competitors for all of 2018, according to Edward Jones. The company has been targeting experienced advisors at wirehouses such as Wells Fargo and Merrill Lynch, the company says. 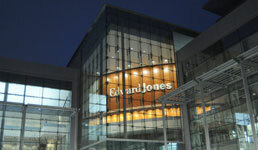 Edward Jones has also experienced growth in competitive hiring for the past three years, it claims. The firm has also been going after departing advisors in recent months. Earlier this month, Edward Jones won partial damages it sought against an advisor who jumped ship to Prospera Financial Services in 2017. In November 2018, Edward Jones requested a restraining order against another departing broker in Ohio. The company also posted $8.5 billion in net revenue for the year, a 13% increase year over year, Edward Jones says. Assets “under care” have reached $1.1 trillion, meanwhile, according to the firm.